Did you know that, according to Forbes’ magazine, only 10% of the population is highly confident in public speaking? Nearly 80% experience some form of anxiety when they deliver their speech and 10% report being extremely terrified. 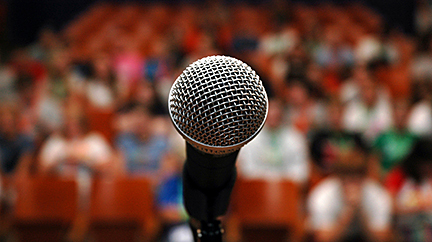 How can we overcome the fear of public speaking? To learn more, I studied some common causes noted by speech coach Dr. Gary Genard. Here are five causes with a solution to each that I think may help. As a member of my school’s forensic speech team, I give speeches for regional and national tournaments. These five tips have been very useful for me and my teammates. I hope that they are useful enough to help you be more confident the next time you deliver a speech. Good luck with public speaking and remember- it’s nothing to fret about! 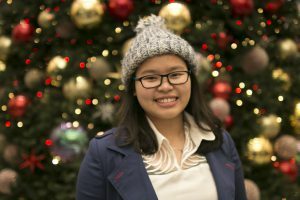 Mai Nguyen is an international student from Vietnam, currently studying at Liberty University. She is double majoring in International Business and Professional Sales and minoring in Mandarin Chinese. She is a Pearson Campus Ambassador at Liberty University and a Math Tutor at her school’s Math Emporium. Studying foreign languages, public speaking, watching cooking tutorials, and listening to music are her deepest passions. Mai is a Pearson Student Insider. To learn more about the program and apply, click here. i see a great point being made here. the thing is that sometimes no matter how hard you try and repeat over and over again your speech (in my case in particular), it makes no difference. the fact that i am about to stand before a crowd of 1000 people and most of them will gaze in me, judging me from the tip of my head to my toes – that’s what sends shivers down my spine. i hate being judged by people who do not know me and yet such occasions are the ideal place for the people to judge you.